In Morocco, discovered the most ancient specialized bone cannon made by representatives of the Ateria culture. The knife, which was built from a rib, presumably bovine, was found in a layer that had formed about 90 thousand years. Atherian culture existed in the north of Africa in the period 145-20 thousand years ago. It is associated with the early Homo sapiens. Presumably, the people of the Atherian culture lived in separate groups, hunted and collected coastal inhabitants. Among the artifacts associated with the atherian culture are complex stone tools made using levallua technology and beads from sea shells, sometimes painted and drilled. To the stone tools – scrapers, knives, tips – sometimes attached handle. Bone tools associated with the Aterian culture were first discovered 60 years ago, but they were rarely found and were not studied in detail. A team of archaeologists led by Abdeljalil Bouzouggar from the National Institute of Archeology and Cultural Heritage of Morocco and Silvia Bello from the London Museum of Natural History discovered and later described a specialized bone cannon — a knife made of a rib, allegedly a bull. Its length was 12.2 centimeters, width – from 1.8 to 2.75 centimeters. The artifact was found in a cave Dar es Soltan 1, which is located on the Mediterranean coast, 10 kilometers from the city of Rabat. The layer in which an ancient knife was found formed about 90 thousand years ago. His age was reliably determined using optical dating, a technology that allows you to determine the time when a particular mineral was last exposed to light. In addition to the artifact, in the layer there were other traces of the presence of ancient people, including stone tools, charcoal, ash. In the layer were found the remains of animals – bison, porcupine, unidentified predators, Mediterranean turtles and marine mollusks. 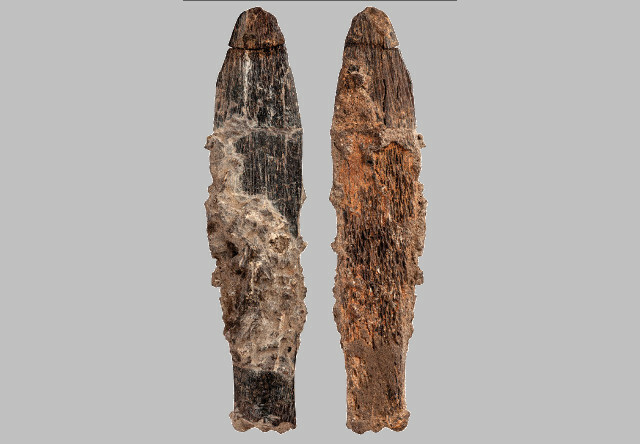 According to the authors of the study, the bone knife was made using sophisticated technology and is still a unique artifact of the Ateria culture. “People associated with the Atherian culture could perform a complex sequence of actions related to the manufacture of specialized bone knives. This method of bone processing implies that an independent unique set of technologies arose in North Africa about 100 thousand years ago, ”explains Silvia Bello. Earlier, anthropologists have shown that the inhabitants of East Asia made specialized bone tools earlier, about 105-125 thousand years ago. Bone hammers were found on the territory of modern China, some of which were used to give shape or sharpness to stone tools.